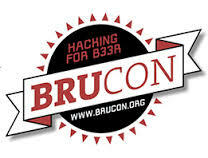 Here are my quick notes from the BruCON 2016 conference. All the slides can be found here. The attack started with a phishing email; the attack compromised more that 2 000 systems, 50 000 emails. 10-25 systems infected every day. the attacker steal information every day. develop indicators to aid triage. focus on : lateral movements, pivoting, recon, new tools or back-doors. used anti-forensics techniques to hide endpoint and network activity. altered communication scheme + strong crypto. mass activity to obscure the real target. data theft using only legitimate us-based services – gmail, google drives, one drive. maximize the utility of trace forensics artifacts. some attacker behavior recovered from sdelete. took time and patience to filter out the network noise. improve visibility and don’t stop looking. map attacker activity ti potential data sources. network times provides reliable chronology. minimal re-use of meta-data commonly tracked and shared as indicator. fought to keep network visibility on all malware families. spent time analyzing system with unknown activity. create indicators for every stage of attack life-cycle. enhance and test your best indicators even when they’re working. attacker used Kerberos tickets attacks which made tracking lateral movement difficult. identified evidence of attacker code in WMI repository. parsed out embedded scripts and malware. updated the environment to power shell 3.0 and enabled logging. turned attacker power shell usage from a threat to a benefit by logging and iocs to made findings attacker activity much easier. worked around Kerberos attacks: looked for remote Kerberos logons around the time of attacker activity. The presentation was about 3 different vulnerabilities discovered by the kpn read team. vulnerability linked to the Java de-serialisation vulnerability. have a range of solutions.